Sello shopping centre and Innogreen wanted to bring fresh ideas to promote the most ecological shopping centre of Europe during the Environment Week in Finland. We wanted to exhibit something spectacular and have visitors of the mall to participate as well. Innogreen built an almost 13 meters high plant tower from scratch. The main structure is built from aluminium struss which is bolted to the floor and the ceiling. On the frame we used our patented pending plant wall trays. All the parts are recyclable and because of a sub-irrigation system the tower can water itself only twice a week. 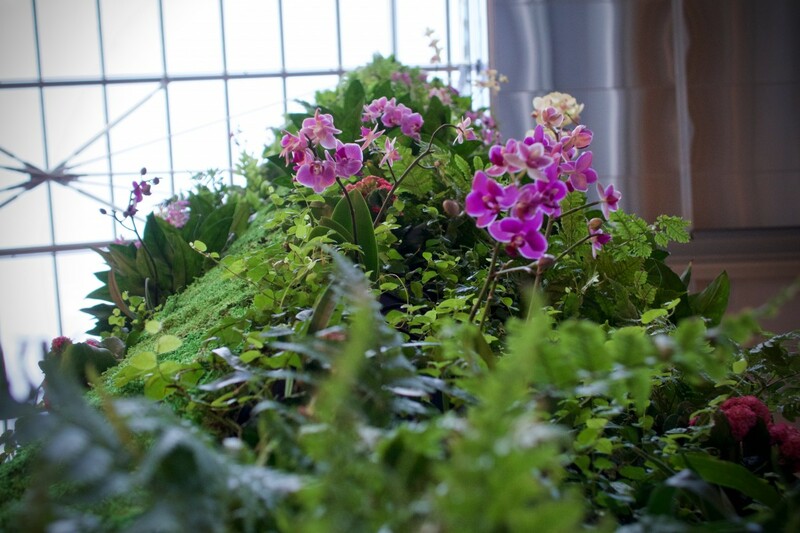 Thus giving a huge water saving advantage in comparison to most other plant wall systems. Each side of the plant tower is 60cm. We used nearly 900 plants to cover the tower with lovely and fresh greenery. Seasonal plants are placed in the tower. For example during December the plant tower was glowing with Christmas spirit in magnificent red colours. 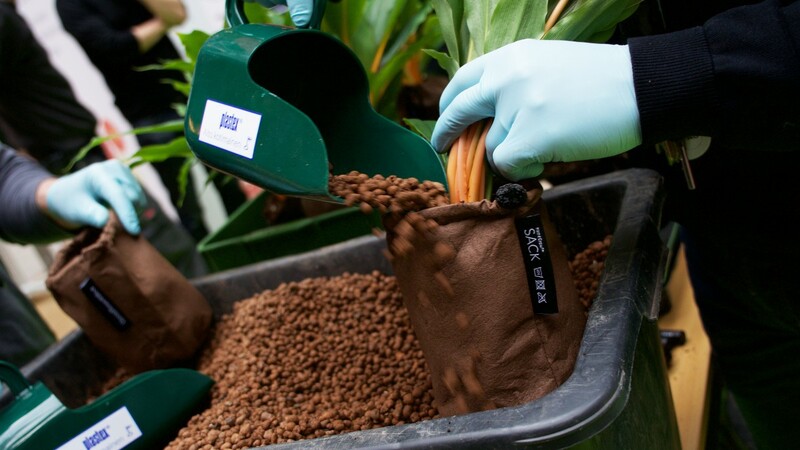 We had a two day event where customers could join in the fun and plant their own plants. From our vast selection the customer could choose which plant to use and then name it. All the names were written to the plant bags in which they were placed in trays.The plant tower was constructed in a week’s time but is built to last for decades. The massive plant tower perfectly compliments the environmentally friendly shopping centre. 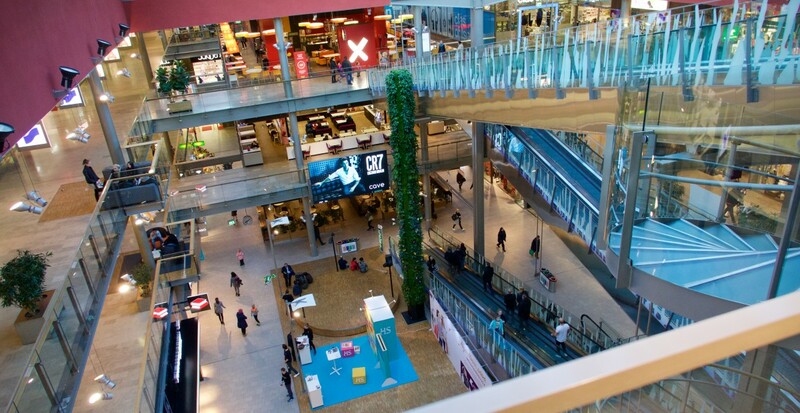 Sello is the first shopping center in Europe to receive LEED Platinum certificate.